The burn sensor is the part of your furnace that is responsible for detecting if the flame is on while it’s running. If your system is on but the flame isn’t being detected this sensor will tell your system to shut off as a safety precaution. Without this sensor your furnace could continue to pump gas into your home which could be very dangerous. Over time this sensor will become dirty and will be in need of some periodic cleaning. A common indicator that your burn sensor has become dirty is if the furnace is quickly cycling on and off. 1. 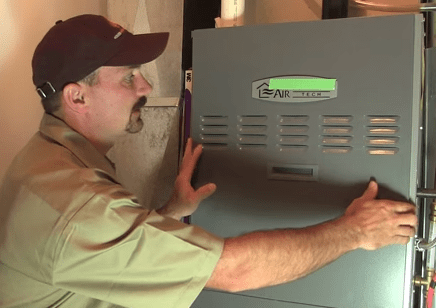 Turn off the power to your furnace at the breaker. Any time that you’re doing some routine maintenance on a major home appliance it’s always best to make sure that you turn off the power first. Simply walk over to your home’s breaker box and flip the switch controlling the power to the furnace to the off position. 2. Remove the cover on your furnace. In most cases the cover to your furnace should lift up and out of place with ease, however, some will require you to remove a bolt or screw so be sure to have a screwdriver and wrench handy just incase. 3. Locate your burn sensor. Unfortunately not all burn sensors will be located in the same part of the furnace, but if you know what to look for you should be able to locate it. 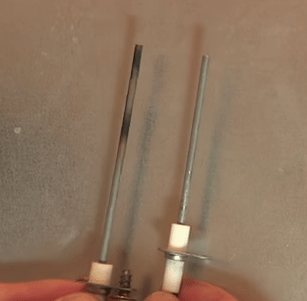 What you’re looking for is a single cord that is attached to a small piece of white porcelain, and the porcelain should be held in place by a single screw. Note that, if there are signs of corrosion, your system might be in need of some professional attention. 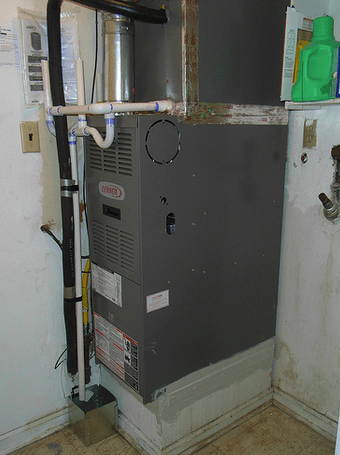 It is not unusual for poorly maintained gas-burning furnaces to have significant corrosion of parts. 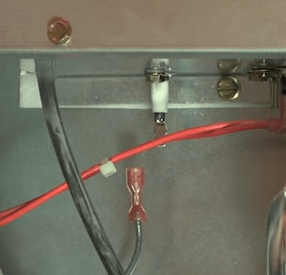 A corroded flame sensor from an appliance may easily break with this manipulation, resulting in an inoperable condition. So if in doubt, call in a licensed professional. 4. Disconnect the electrical circuit from the burn sensor. All you’ll need to do is gently pull on the electrical connection located at the base of the sensor. It should click out of place and having it disconnected will make the burn sensor itself easier to remove. 5. Remove the burn sensor being careful to not touch the sensor itself. Getting any oils on the sensor could cause it to burn out or malfunction, so be careful to not touch the sensor once you remove it. After you’ve located the burn sensor simply take your screwdriver and loosen the screw until the sensor slips free. If you are not wearing gloves, just be sure to handle the burn sensor by its porcelain cover (the white part), so that you don’t get any finger oils on it. 6. Clean the burn sensor using your emory cloth. Once the sensor has been removed from the furnace all you’ll need to do is clean it with your emory cloth. Simply hold the sensor at it the base and rub the emory cloth over the sensor. You should feel a little resistance at first, but after a few minutes the cloth should move freely over the surface of the sensor. 7. Replace the sensor and reconnect the electrical circuit. Once you’ve cleaned the sensor all you have to do is put it back in place. We recommend screwing the sensor into place and then connecting the electric second. All you’ve have to do is push the electrical connection back onto the base of the sensor, you should hear it click into place. 8. Put the cover back on and turn on the power to the furnace. 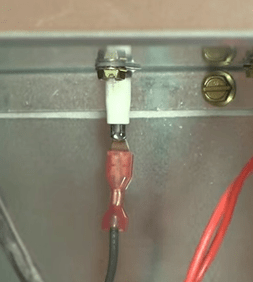 Now that you’ve put the sensor back in place and reconnected the electrical circuit, all you have to do is put the cover back in place and turn the power back on. Voila! You’re furnace is ready to go. If you’re looking for more ways to make your home more energy efficient, be sure to check out our green home improvement projects. Green Living Ideas, after all, is a top 20 home improvement website.